We all know that wave of feeling that rushes over us when we are angry or hurt or frustrated. The best of us take a moment to breathe and think before responding, while the rest of us simply react. Depending on the day, it is easy to fall into the latter category, so what can we do to ensure we are in the former? There is no doubt that taking a moment to put things in perspective and think about the implications of your words and actions is hugely beneficial and promotes appropriate behavior. However, when your emotions are flowing and you feel passionately, it can be all too easy to react and regret it later. 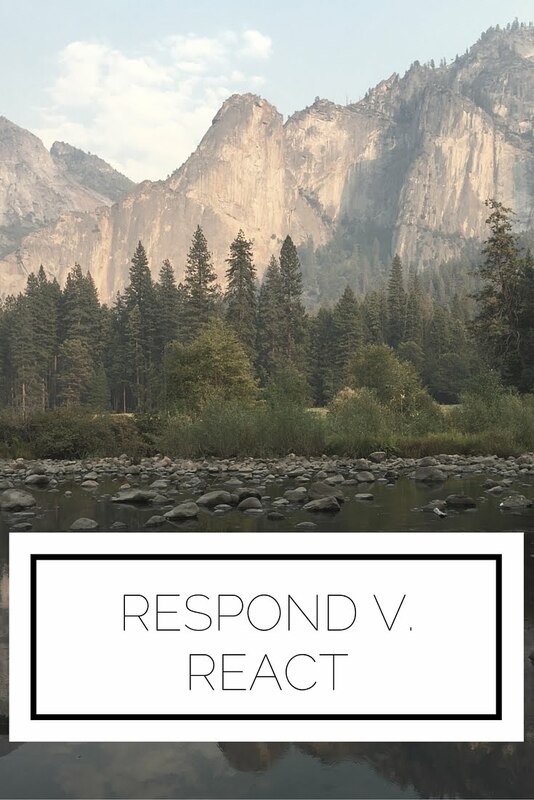 Today I am going to share with you some methods you can use to make sure you respond in the best way possible. Some people suggest ten (but let's be honest, that always feels like an eternity...), however I believe that three can be just as effective! Basically, it comes down to taking a few moments to think rather than jumping to conclusions or being accusatory or uncooperative. We all know what we should do in most situations, and sometimes all it takes are a few seconds to realize it. Is this going to actually cause a large issue, or will it just be uncomfortable? Will it be a big deal a year from now? A month from now? Ask yourself these questions and I bet you'll find that you don't need to be worried about it all that much. Think about the possible solutions. Sometimes when you are faced with a problem, all you can see are the associated issues. But, I suggest that when you take some time to consider it you'll come to realize that you are more than capable of coming to a resolution. This can be applied from anything to group projects, relationships, or even just the pressure you put on yourself. What this all comes down to is not freaking out, not placing blame on others, and being thoughtful in your actions. By pausing, thinking about its effect on the great scheme of things, and being a problem solver rather than perpetuator, you can be a responder instead of a reactor. How do you deal with your own responses? What advice do you have?